A visit to Miami Beach and a room at the Catalina hotel offer endless possibilities for fun and excitement, not to mention recreation and relaxation. We also have an in-house dining experience for your enjoyment. Adjacent to the Catalina there is Maxim's Cafe and close by, the Cafe des Arts. Limited Pay Parking on a first come first served basis. $7/day plus tax. 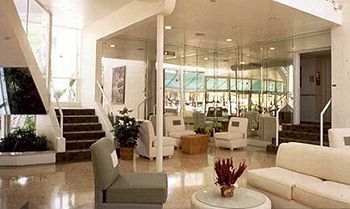 The Catalina Hotel, a resort hotel located in Miami Beach, only 2 blocks from the Miami Beach Convention Center. This South Beach hotel is a truly authentic art deco hotel. The Catalina has been completely restored to ensure our guests a fantastic accommodation with all the flavor of the local history. This and other Miami Beach Hotels and Bed and Breakfast Inns can be found here online in The Register. s Romantic Country Inns, Getaways and B&Bs offer a great lodging alternative to big hotels.